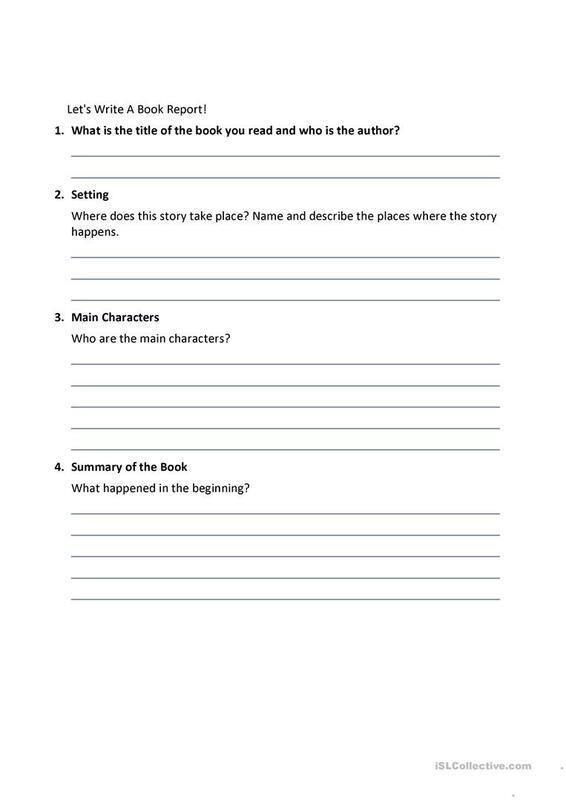 This worksheet will help students write about the book's title, author, setting, characters, summary, and their opinion of the book. 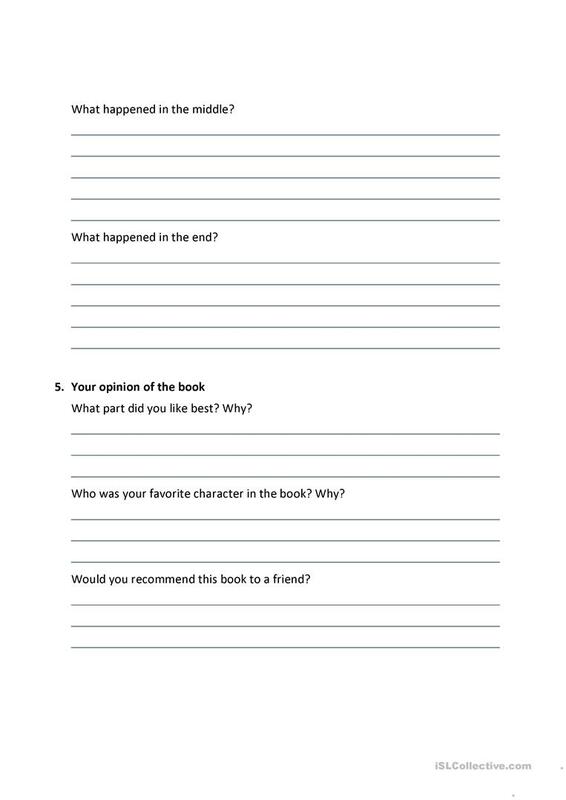 The above printable, downloadable handout is recommended for elementary school students at Elementary (A1) level. It is excellent for enhancing your groups' Writing skills. CynBot is from/lives in South Korea and has been a member of iSLCollective since 2013-02-04 05:11:09. CynBot last logged in on 2018-11-19 04:49:15, and has shared 1 resources on iSLCollective so far.